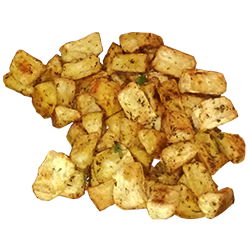 Description: Lightly seasoned, versatile yuca home fries that are crispy on the outside and tender on the inside. Perfect compliment for scambled Eggz, Camburgers and Brookelyn Dogs. Oven: Preheat oven to 400° F. Spray baking sheets with cooking spray if needed. Bake for 7-10 minutes until hot and crispy. Stovetop: For extra-crispy fries: Deep-fry in 350° F cooking oil. 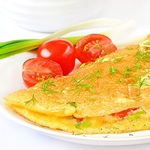 Serving Suggestions: Serve as a breakfast side dish or as a tasty snack with your favorite sauce for dipping. Ingredients: Yuca (yuca, salt), olive oil, garlic powder, salt, black pepper, parsley. 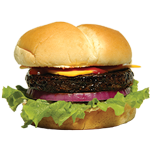 Manufactured in a facility that uses eggs, milk, nuts, soy and wheat. 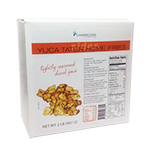 We All Love "YUCATAN TATER HOME FRIES"
From Lee Wilson of Castle Rock, Washington on 6/11/2016 .